High Voltage Discos, based just outside of Gainsborough, started out in 1990 in Leicester by a 16 year old music enthusiast and would be entertainer by the name of Glenn. Glenn quickly established his business by word of mouth and soon had a steady flow of repeat bookings and new customers. In 1991 Glenn received training in music presentation and microphone technique from Trent FM’s Radio Training Unit. Karaoke was introduced to the disco in 1996 as demand was growing for this popular form of entertainment and since then the karaoke library has got bigger and bigger! In 1998 Glenn took his DJ skills to the holiday island of Gran Canaria. Here he spent 8 months DJ’ing in a popular bar in the resort of Puerto Rico. With Glenn in the DJ box, bar sales increased to record levels as the holiday makers returned night after night for fun and music. Returning to the UK late 1998, Glenn continued with his mobile disco and grew his customer base in and around Leicestershire. In 2006 Glenn relocated from Leicester to a village in the Gainsborough/Scunthorpe area and now operates the mobile disco from there. 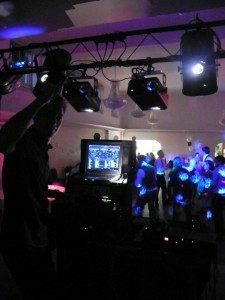 More recently, Glenn has become the go to DJ for weddings and events at the White Swan in Scotter. 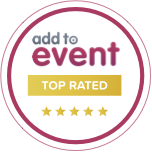 From 1990 to the present day, Glenn continues to listen to his customers and makes every effort for the event to be a success from making sure volume levels are kept right, not talking over the music to keeping upto date with the latest music trends.